My brother shared this video with me and it got me thinking about the value of success. I thought this is a very apt video to be shared here since this site is about career success. But as regular readers of this site knows I try as much as possible to have a good balance of views. From what I understand, this video was taken at the National University of Singapore. It’s a talk given by the late Dr. Richard Teo who is a very successful doctor to dental surgery students at the university. Dr. Richard Teo had been diagnosed with stage 4 lung cancer when he gave this talk. Dr. Richard Teo’s thoughts of life, wealth, success and happiness should get you thinking about the values of success that you seek. I believe the important thing you need to remind yourself is that the value of your success are not in the value of your net worth. That the value of your contribution is not measured by the values in your bank statements and the properties that you own. The values of success should be anchored on the values that guide your lives. Not what you take. But what you give. The values of success are not what's on paper but what is in the heart. The values of success are not based on finance but on your relations with friends and family. Your fear shouldn’t be if you will achieve great success. But what values will keep you afloat when the pressures of life weigh you under. Not how others see your success but how you will measure your own success. It is interesting that most of us would think about our monetary investments and look for returns on those investments but we never look at investing time to better ourselves. Invest time in yourself and changing yourself for the better now, at this moment and reap its return in the years to come. If not you, who? If not now, when? An informative read, ready designed to remind you of easy things you can do weekly to make your work life better and in pursuing career success! Get it now. 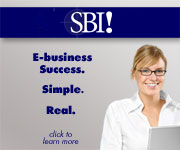 Looking for career promotion advice to climb the corporate ladder successfully? Here’s a book to increase your promotion chances.Get it now. 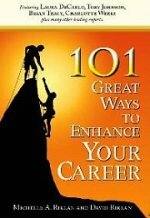 If you are sincere in getting off to a great start pursuing career success and need to be pointed in the right direction, then this book is for you. It has the career success recipes you need. Get it now. What is Your Value of Success? Share your comments and views about this with us! Know a way to career success? Here are 7 steps to arsenal your way through. Subscribe to our free Careerzine today!